HaasOnline is the website behind HaasBot, an online automated trading platform that aims to help individuals to efficiently trade digital assets such as Bitcoin, Ethereum, and various altcoins. The project makes use of an innovative software suite that includes a range of custom bots, a variety of indicators, and a number of advanced features that appeal to more experienced traders. Despite this, the platform also offers a range of services designed to be utilized by less experienced traders, thus allowing both new entrants and professional traders to benefit from automated trading. 5 How Beginner Friendly is HaasBot? 7 Is HaasOnline a Scam? HaasOnline Software was founded by CEO Stephan de Haas in January 2014, and the company has a transparent executive team which includes CTO Quintus de Haas and CSO Josh Becker. The HaasOnline Trade Server (HTS) is the company’s main product and it acts as a fully featured, automated cryptocurrency trading platform which hosts various HaasBots. The service provided by HaasOnline is one of the most comprehensive when compared to its competitors and incorporates features such as technical indicators, historical and real-time backtesting, safeties and insurances. In addition, the platform supports fully programmable script bots, which are written in C# and this allows developers to create fully customized bots that work in specific ways. HaasOnline is also compatible with 20 leading exchanges including Binance, Bitfinex, BitMEX, Coinbase Pro, Gemini, Huobi, Kraken, Kucoin, and Poloniex. While the crypto trading bots can trade any altcoin pair supported by compatible exchanges, and there are no restrictions on the number of altcoin pairs you can trade with. Prices are structured in a way to allow a variety of users to make use of the platform regardless of experience level, and there are no restrictions or extra fees for number of orders placed, and the team don’t take a percentage of user profits. As a result, HaasOnline enjoys a growing community with thousands of active users making use of the HTS cryptocurrency trading platform. Functionality – HaasOnline requires users to install software on their PC or laptops, and incorporates an intuitive interface and customizable dashboards that appeal to traders of all skill levels. The platform supports both Windows and Linux OS and users can configure bots to automatically makes trades 24/7 and also incorporate a wide range of technical indicators. Range of Tools – The platform includes over 50 technical indicators as well as a number of testing tools that allow for historical and real-time backtesting. Users can also protect their trades by utilizing 13 types of insurance which must be met in order to execute buy or a sell orders on exchanges, and 21 safeties which can also trigger sales or purchases. Exchange Integration – HaasOnline is currently compatible with 20 leading exchanges including Binance, Bitfinex, BitMEX, Bitstamp, Bittrex, CCEx, CEX.io, Coinbase Pro, Deribit, Gemini, HitBTC, Huobi, ionomy, Kraken, Kucoin, Nova Exchange, OKCoin, OKEx, OKEx Futures and Poloniex. Technology – Users can use trading bots by configuring HTS to connect with their accounts on compatible exchanges. There are currently 15 pre-built bot types such as inter exchange arbitrage, flash crash, and accumulations bots. The platform also supports fully programmable script bots, written in C#, which allows more advanced users to develop their own customized bots. Customer Support – Users can contact the team by submitting a support ticket in the Support Section, or by interacting with their social media accounts. The team maintain an active Twitter account, Telegram group, Discord server, Facebook page and YouTube The team also provide an FAQ section as part of their Wiki resource page. By integrating the software directly with Telegram, users can watch live updates on profits, losses and other trade data. To create an account, just click the “Sign In or Register up” tab at the top right of the page. All that’s needed is to enter an email address in order to register an account on the platform. Users are required to install and configure HTS and the team have provided a number of guides that help to speed up the process. These include videos for Windows and Linux users and Wiki guides on just how to install and configure HTS. Once you have HTS up and running you can navigate the platform to check your Wallet Assets. You can choose a trading bot by checking over all the available bots in the Bot List. There are three types of licenses available, namely Beginner, Simple, and Advanced, and in addition to choosing the type, you can also choose how long you wish your license to be active for. The platform provides license terms of 3, 6 or 12 months. 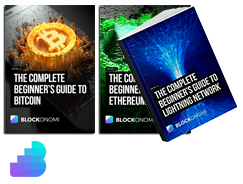 All payments must be made in Bitcoin, and prices range from 0.04 BTC for a 3 month Beginner license to 0.32 BTC for a 12 month Advanced license. The Beginner license provides access to 10 Concurrent HaasBots, 10+ Insurances, 10+ Safeties, and 20 Indicators, while the Advanced license allows for unlimited HaasBots and an unrestricted number of tools. All license types are supported by the full range of compatible exchanges and come with core features such as Backtesting, Bot Performance Analyzer, 3rd Party Notifications, 2FA Security, and Developer API Access. In addition, every level provides access to popular indicators such as Exponential Moving Average (EMA), Moving Average Convergence Divergence (MACD), StochRSI, Relative Strength Index (RSI), and Bollinger Bands. Despite these options, the team don’t provide a free trial period so users are required to sign up in order to test out the platform. As a result, it’s a good idea to take a look at the pricing comparisons in order to figure out which license provides access to the features you need the most. Users are also free to upgrade at anytime and just need to pay the difference between their current and new plan. Members just need to log into HTS and use the ‘Upgrade License’ feature, although it’s important to note that upgrading does not extend the plan’s expiration date. How Beginner Friendly is HaasBot? Haasonline takes longer to get used to when compared to some of its competitors, it’s necessary to install and configure HTS and download bots onto your computer. This can prove tricky at first and new users will have to go through the various online tutorials in order to successfully navigate the process. However, once HTS is up and running newer traders have access to easy to use pre-built bots such as the Order bot which works according to pre-defined orders, the Accumulation bot, which accumulates a particular currency via randomized ordering, and the Inter-Exchange Arbitrage Bot which takes advantage of price differentials on different exchanges. In addition, Haasonline supports a number of safeties designed to help protect traders’ funds. These include Close Above/Below Profit options, as well as Price Pump/Dump options and a variety of Stop Loss alternatives. Furthermore, insurances provide an additional layer of protection, and trigger the buying or selling of a certain asset when special conditions are fulfilled. Insurances work in tandem with safeties and include Stay Profitable, Never Sell Cheaper, and Overcome Fees options. Despite this, the platform provides a wealth of options for more advanced users and these include fully customizable script bots, over 50 technical indicators as well as the 13 types of insurance and 21 different safeties. HaasOnline also provides an auto-tune feature for indicators and safeties which allows members to see which settings work the best over a specific period of time. 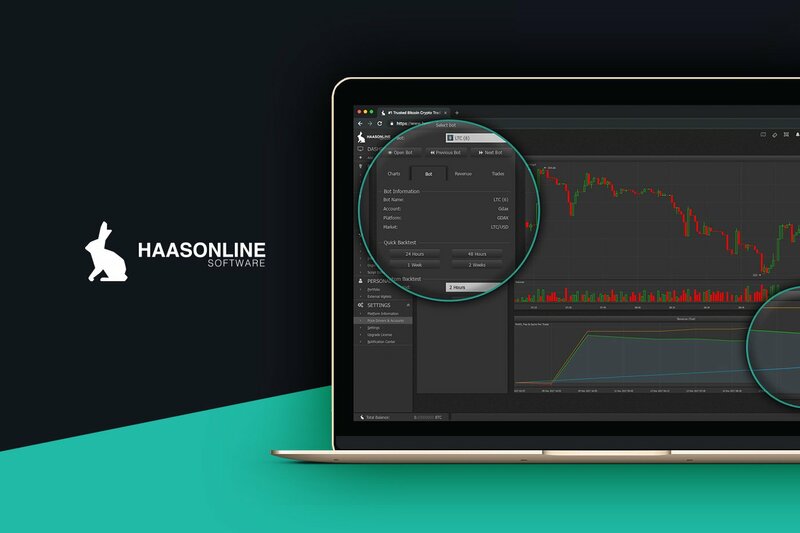 In keeping with the majority of automated trading platforms, Haasonline requires some tinkering by the trader to work efficiently and start to generate profits. Furthermore, users control the entire process, choose the bots, and set the strategies and parameters. As a result, new traders should stick to simple strategies and leave the more complex methods to experienced and professional traders. We have covered a number of Crypto Trading Bots here on Blockonomi now, The HaasBot compares favorably in features but will be a little harder to setup as these are cloud-based trading platforms, where HaasBot you have to install locally. The project is one of the more transparent on the market and has provided a clear outline of its corporate structure and executive team on its website. In addition, the team are quite active and run a number of social media accounts and a Telegram group, and have built up a substantial community. At the same time, the platform doesn’t require any personal information and users only need to disclose an email address when creating an account. HaasOnline also only accepts payment in Bitcoin which also helps to maintain user privacy. Also, the software does not have access to your funds; however it does require some administrative permissions in order to work. The software broadcasts a Web Interface and its own API by running a local server, and uses its administrator access for the local web server. The team have also incorporated a number of security features in order to protect their customers, and deposits and withdraws from within the HTS platform are not supported. This takes away the possibility of a hacker being able to compromise a trade sever and steal funds directly from a user’s exchange accounts. In addition, the platform supports Two Factor Authentication (2FA) as an additional security measure, and this helps to ensure that unauthorized access is not possible on your trade server. Similar to other trading bot platforms, while you do not keep funds on Haasonline, your trading bots connect with your exchange accounts and perform trades on your behalf, and if hackers were to gain access to your trading terminal, they would be able to take control of your trading activity. While they wouldn’t be able to make withdrawals, they could still cause havoc with your accounts and users are advised to always make the most of the available security options. Prospective users can join the Telegram group to gain a better understanding of the project or take some time to search the Bitcointalk thread about Haasonline which covers years and years of discussion. HaasOnline is a comprehensive automated trading platform that requires users to sign up to the website, install and configure HTS, subscribe to a license and then begin to use different bots. The platform integrates with a large number of leading exchanges and supports over 500 currency pairs. In addition, users also gain access to a wide range of technical analysis, and tools such as backtesting options, insurance, and safeties. The team also offer a range of licenses which benefits newer traders, however, the software takes some getting used to and the need to download and install software my turn off some traders. As a result, newer traders are advised to join the Telegram group to get a better understanding of the platform and then look to purchase a 3 month license while they get acquainted with the HTS system. New users can also look to make use of the some of the easier to use pre-built bots and be sure to protect their funds by making use of the insurance and safeties. The extensive exchange and trading pair support allow HaasBots to excel at conducting smaller trades in order to make the most of differences between various currency pairs, and the Arbitrage feature allows traders to profit regardless of their experience level. Despite this, Haasonline is a very intricate and detailed project which may be best suited for more intermediate and advanced traders. The wide range of technical indicators and the ability to customize bots will appeal to the more technically advanced, and the team provide extensive documentation on indicators, trading techniques as well as various software features. The project is backed by a well respected and transparent team, and has built up a significant user base over the years. However, according to community feedback; some users do report having issues with the software, and claim it can become unresponsive at times. As a result, HaasOnline may be best for people who like to get their hands dirty or are willing to spend time to make the most of the wealth of features on offer.